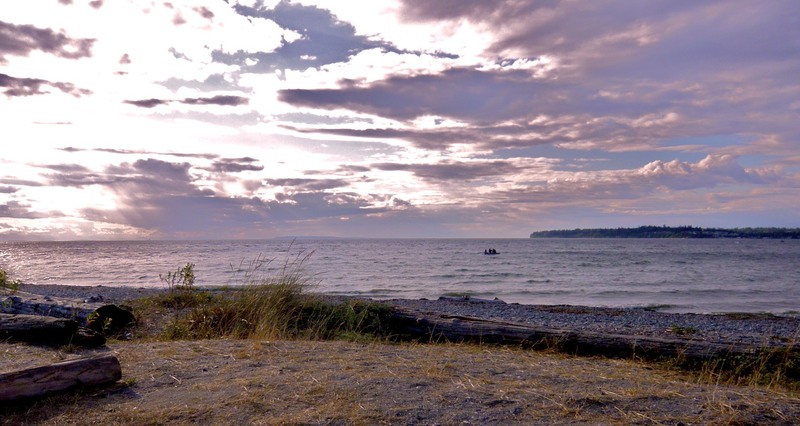 Those of us who live here in Whatcom County, Washington, reside on the traditional territory of the Coast Salish people who have lived here since time immemorial. The waters, lands, and air are imbued with their spirit. As the creator of Noisy Waters Northwest, I felt an urgent need to let loose the words of many people in our community who would protect these sacred lands, waters, and the lifeforms upon and within them. There is much information and insight into important matters that have a strong impact on our community that is largely unheralded in our local mainstream media and often the places where this information is to be seen or heard is hard to search out and find. It is my aim at Noisy Waters Northwest to begin to let these voices rise from the deep, to release them and allow them make a roar loud enough for multitudes to hear, process, act upon, and add to the force of their own voices. I give thanks to the Lummi Nation and the native language of their people for the inspiration for the blog site name. I give thanks to this beautiful portion of planet earth where we live and to the noisy waters that sound in our ears. When commenting on posts, please provide your full name in the field provided or within the body of your comment. Please, no personal attacks, abusive comments, or unsubstantiated accusations. Readers are encouraged to contact the site administrator by way of the form below to report objectionable comments for review that do not comply with our policy. Dena Jensen is the administrator for Noisy Waters NW. Feel free to contact Dena with comments or questions by filling out the form below. Hi there. I’d like to post a January event- MLK Saturday Conference through Whatcom Human Rights Task Force. How would I do that?